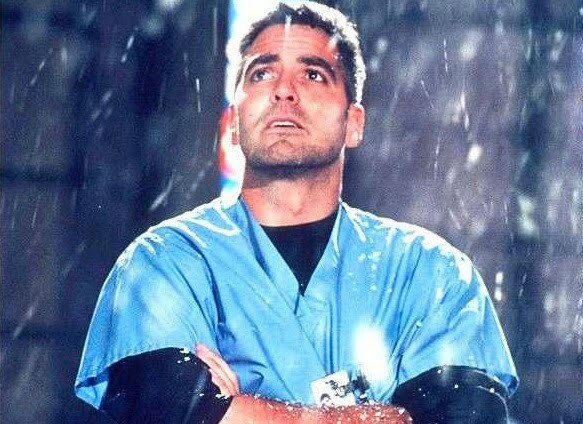 This all started with George Clooney on “ER”, and the week I spent attempting to figure out why his chaotic introduction was so compelling, even though I was going through a harrowing medical saga of my own at the time. The hope is that these eleven steps can help in trying make that sort of connection with an audience. If this still isn’t exactly a recipe you can use from scratch, then maybe it can at least answer the question of why some characters are so much more compelling than others. In entertainment, it’s not just screenwriters but also directors and actors (especially if they’re starting with a weak script)... Every type of writer, from novelists to journalists to historians, whether they’re starting from scratch or re-shaping the details of an actual life... Salesmen, speechwriters, activists—anyone who’s selling their own ideas or somebody else’s… For that matter, anyone who’s ever had to write a resume or cover letter…Everybody needs to know how to transform a life story, even if it’s just their own, from a shapeless mess into a compelling narrative. Allow me one final example from my own story: Shortly after I began chemo, I got a chilling visit from an old college friend who had gone on to become somewhat of a big-deal doctor (Mayo Clinic, Johns Hopkins, etc...) He took me aside and confided an unfortunate secret that he felt I needed to hear: The most important thing I could do to stay alive was to make sure my doctors remembered me, and the only way to do that was to make my story a lot more compelling than their other cases. Doctors, he admitted, only allow themselves to get upset if certain heart-tugging patients die (new parents, for example), and they unintentionally reserve their best care for those patients. For the rest, they quickly decide that, if this patient dies, it must just be their time. Why should this be so? Doctors, after all, are paid to care about everybody. And they do care, deeply…about their first fifty or sixty patients. But after that, every patient starts to seem the same: the same backstory, the same symptoms, the same complaints, the same prognosis. Worst of all, a sneaking suspicion comes over them that they care about their patients more than those patients care about themselves. Patients won’t change their lifestyles even when doctors tell them they must to survive. So doctors stop investing themselves very much in most individual cases, just to protect themselves emotionally. Does this sound familiar? Doctors, it turns out, are a lot like script-readers, who are also supposed to care about the manuscripts they get, but quickly get fed up with generic stories about passive protagonists who can’t even be bothered to care about their own lives—so why should anyone else? What I took away from this warning was that you can’t just go to the doctor’s office and “seem sympathetic”. You have to create a compelling character. Make it clear that there’s more to you than whatever their first impression was—quirky and unique details that make you memorable. Describe your symptoms using shocking new metaphors they’ve never heard before, so that they can really imagine the pain. Show them that you have a great life with a lot of goals so it’ll be especially sad if you can’t reach them. Let them know you’re motivated and resourceful—that they can trust you to take two steps for every one they take. And most importantly, constantly remind them that you’re facing a very tight (and literal) deadline, so you need them to work with impassioned urgency. My point is that these are good skills to have for lots of reasons. Wake a doctor up. Wake a script reader up. Wake a publisher up. Wake an audience up. Let them know that this time it’s safe for them to really care, because you have what it takes to magnetically compel them along through an emotionally satisfying journey. Wow - this is incredibly insightful - thank you for sharing. If you had doubts about whether the world needed another screenwriting book, here's the proof that it does: I love how you write and you really make me believe I can create something powerful. Thank you for inspiring me! Wow! Thank you for sharing. This is incredibly insightful. 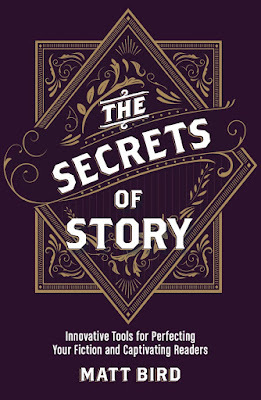 If you still need proof that you should write a book, this is it! I love how you write, and you really make me believe I can create something powerful. Thank you so much.